This will be an evening of tasting, learning and socializing as we will discuss wine and beer styles and of course try some too! Do you like a particular style of wine and wonder what beer you might enjoy? Do you like beer but are curious if you may also like wine? This will be the night for you! Come experience Corked Wine Bar’s hospitality and soak up the knowledge of Craig Pinhey. The evening will start at 7:00pm sharp. We will be sampling 7 wines & beers – please arrange suitable transportation. 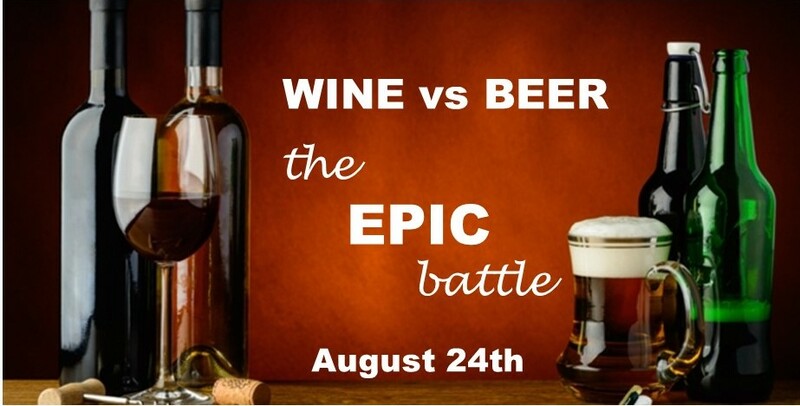 Beer lovers – come give it a try or bring your wine lover for safety. Beer & Pretzels – Wine & Cheese….. oh, wait, pretzels go with wine and cheese goes with beer #yummy.